Evening strolls around Hoan Kiem, sunbathing in Danang, and … online searching? Sounds like summertime in Vietnam! Whether they’re spending the day catching up on episodes of “Gương mặt thân quen” or planning a trip to the cinema, consumers in Vietnam are turning to YouTube and search to make the most of their summer holidays. That opens the door for marketers looking to reach consumers in the moments they turn to the web for inspiration, information, and summertime entertainment. 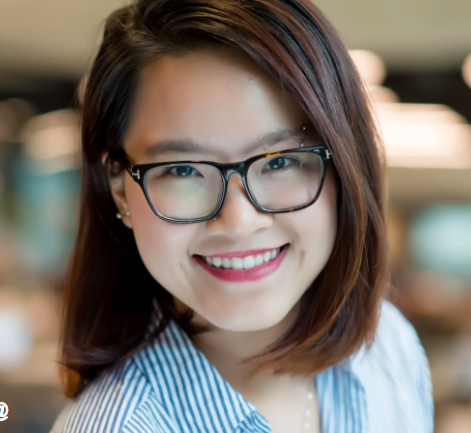 For brands looking to connect with Vietnam’s fast-growing online population, knowing what users search for and where they go for their favorite content is key. After analyzing last summer’s search trends and YouTube watch time, we have a few predictions for what the talk of the e-town will be this summer. Summer holidays mean kids have more time to relax, play outside, or beat the heat by going online to watch popular kids’ content like Bé Bún và anh nhện đỏand LittleBabyBum. And with kids out of school, parents partake in the fun by joining their kids in watching toy unboxings, creative play videos, animated shorts, and vlogger challenges that can only be found on YouTube. As kids’ content on YouTube grows in popularity, family-focused brands have a huge opportunity to reach moms and dads with smart content that aligns with the most popular kids’ content. Consider collaborating with popular creators to develop content that grabs kids’ attentions. Or perhaps focus your brand’s ad placements on YouTube’s most popular channels for parents and kids, such as DIEN QUAN Kids or POPS Kids. Brands looking to connect with moviegoers should tap into their growing anticipation at least one month before the movie premieres. As the youth of Vietnam go online during the summer months to search for upcoming films, featured stars, and cinema information, stay top of mind by customizing your brand’s message or by offering limited-time promotions centered on the season’s biggest blockbusters. For example, using mobile search ads with geotargeting focused on local cinema locations is a great way to appeal to film fans on the go. The explosion of the online gaming industry across the nation has not only sparked a new generation of gamers; it’s also brought about a huge surge in spectators. In fact, of all online gaming viewers, 40% don’t play the games themselves!5 With its organized professional leagues, exciting live summer tournaments, unique personalities, and colorful cosplay culture, the world of online gaming has grown far beyond just playing—and much of it lives on YouTube. In 2016, three million hours of gaming content were watched every day in Vietnam, and YouTube live gaming watch time has grown by 400% in the past year.3 Gaming enthusiasts tune in to watch multiplayer live-streams, recorded gameplays, funny parody music videos, and popular vloggers like MisthyTV. Don’t make the mistake of thinking only budget-challenged teenage boys have all the gaming fun. One in four gamers are parents,3 and 45% of all gaming content watch time on YouTube in Vietnam comes from users over the age of 25. Thirty-six percent comes from females.3 Gaming enthusiasts transcend demographics and have a wide range of interests, making them one of Vietnam’s most valuable audiences. Keep gamers’ varied interests in mind when planning ways to connect on YouTube. Compared to the average internet user in Vietnam, gamers are more likely to be auto enthusiasts, movie fans, and tech lovers,3 so invest in developing and advertising on video content that piques their varied interests. Samsung, Toyota, and Oppo Vietnam are great examples of brands that put fun gaming twists on their advertising to connect with the gaming audience. As summer approaches and Vietnam’s online activity ramps up, marketers need to start preparing now. Consumers’ excitement starts to sizzle before the summer holidays begin, so get an early start on planning ways to meet them on YouTube and search with helpful, relevant content, and reap the rewards of being one of the hottest brands this summer. YouTube Internal Data, May–Aug. 2016, Vietnam. Google Internal Data, May–Aug. 2016, Vietnam. Newzoo, “The eSports Industry to Date: The Drivers Behind Current and Future Growth,” Sept. 2015, Global.